A diorama is a miniature sculpture that depicts a particular place, action or animal. A common diorama made by many students depicts a spider in a natural habitat. The choice of spider will determine the type of background and vegetation placed within the diorama. Spiders in areas with lots of trees and brush will build webs in the branches or shrubbery. A spider that lives in a desert area will make a home in succulent plants. Make a simple diorama of a spider living in a well vegetated area. Cover the bottom, one long side and the two short ends of the inside of a shoe box with blue construction paper. Cover one long side with green construction paper. Glue the construction paper in place with white glue. Allow the glue to dry 10 minutes. Sit the shoe box on edge so the green construction paper is on the bottom creating the ground area. Arrange four to five small branches to the back of the shoe box. Hot glue into place. Select a small branch that has a Y-shaped end. Remove the leaves from the top of the Y shape. Place a piece of wax paper under the Y-shaped branch. Squeeze a line of glue along the top of the Y shape. 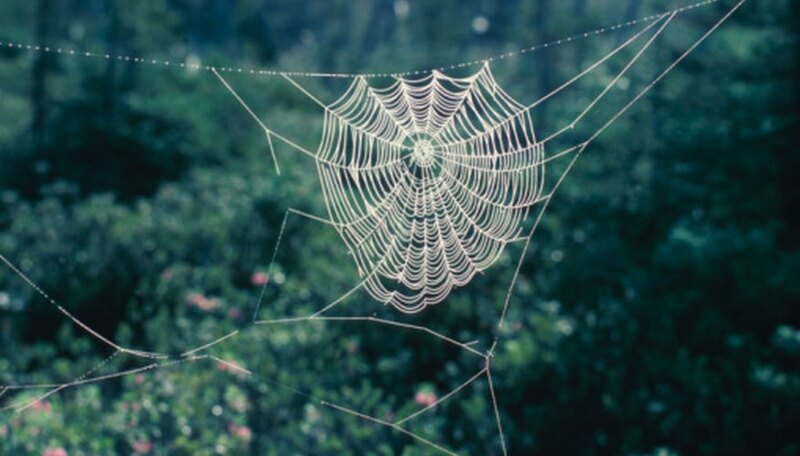 Squeeze loops of hot glue to create a spider web design. Allow the hot glue to dry for 5 minutes. Peel the glue web from the wax paper. Squeeze a dot of hot glue along the top of the Y-shaped branch. Immediately sit the spider on top of the hot glue. Allow the glue to harden 2 to 3 minutes. Position the small branch in front of the other branches in the diorama. Hot glue the branch into place. Blakesley, Kim. "How to Make a Diorama of a Spider Habitat." Sciencing, https://sciencing.com/make-diorama-spider-habitat-8581478.html. 24 April 2017.